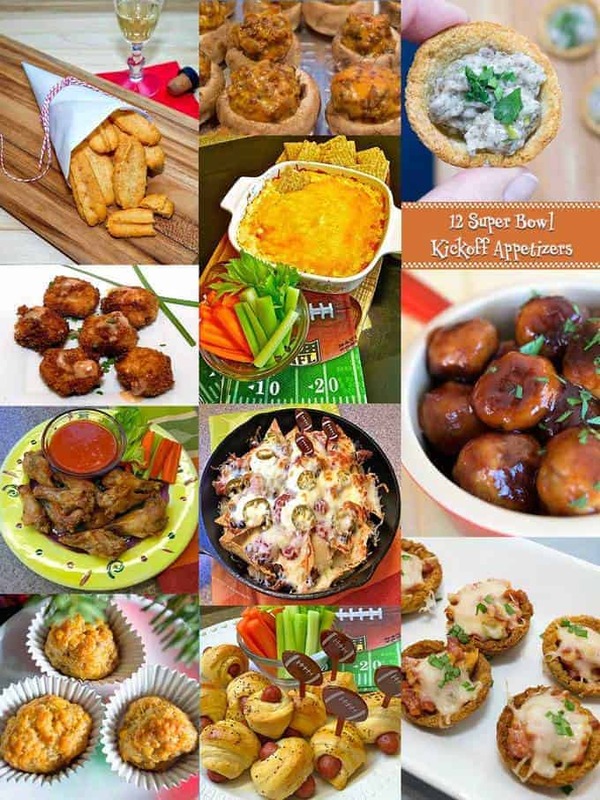 Kick off Super Bowl Sunday and score the winning points with these crowd-pleasing appetizers. Make them ahead of time so that you can enjoy what you eat while keeping your eyes on the big game. I’ve teamed up with Grits and Pinecones to bring you these easy to make and mouthwatering appetizers. 1. 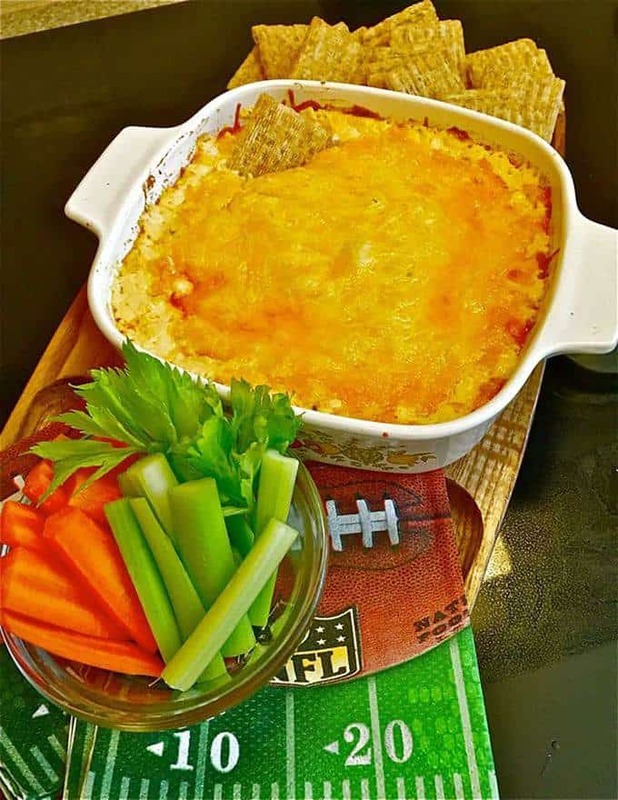 Buffalo Chicken Dip – If you love Buffalo Chicken Wings, you will love Buffalo Chicken Dip. It has all the delicious spicy flavor of Buffalo Chicken Wings, but none of the mess! 2. 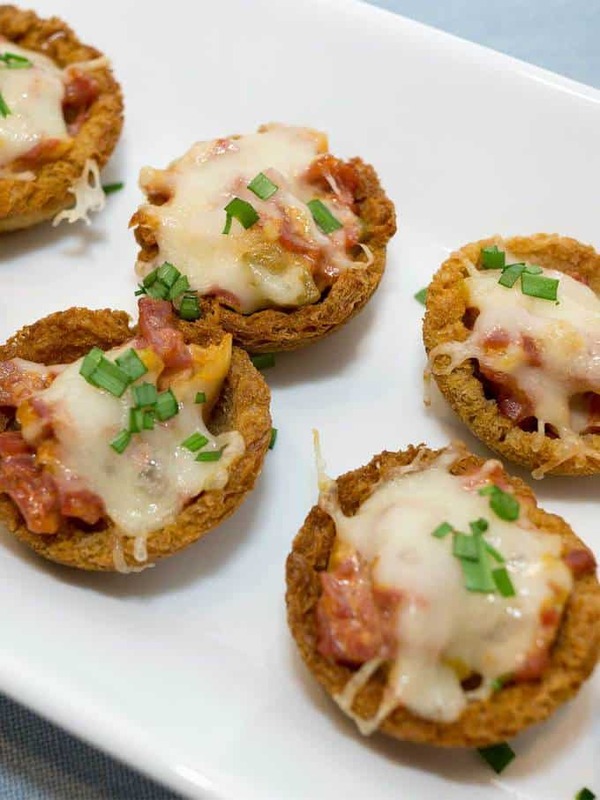 Mini Reuben Croustades – If you like Reuben sandwiches, you’ll love these delectable bite-sized morsels. Bet you can’t eat just one! 3. Southern Cheese Straws – You’ll score big with this highly addictive southern classic. 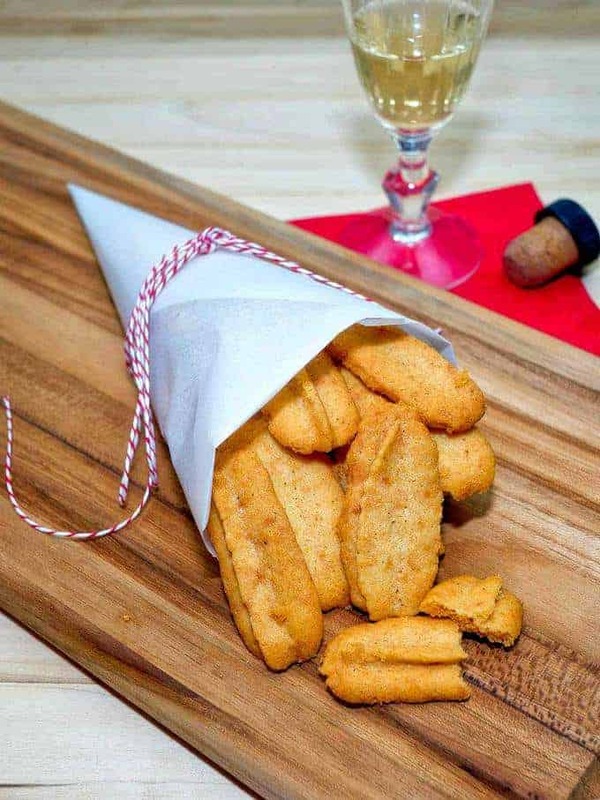 Crispy and buttery, Southern Cheese Straws are amazing when paired with a dry sherry, or just by themselves. It’s impossible to eat just one! 4. 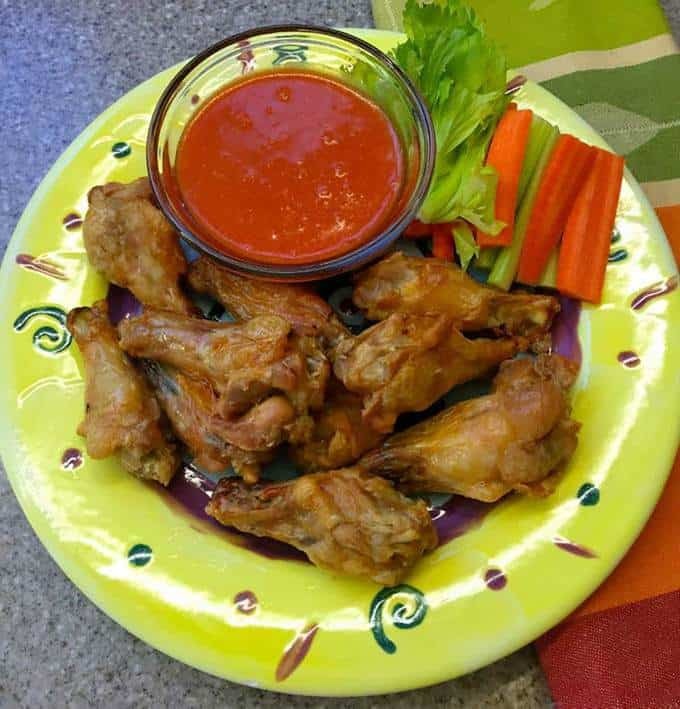 Crispy Buffalo Wings – It’s hard to imagine a Super Bowl party without Buffalo Wings. These are sure to be a big hit with all of your guests. 5. 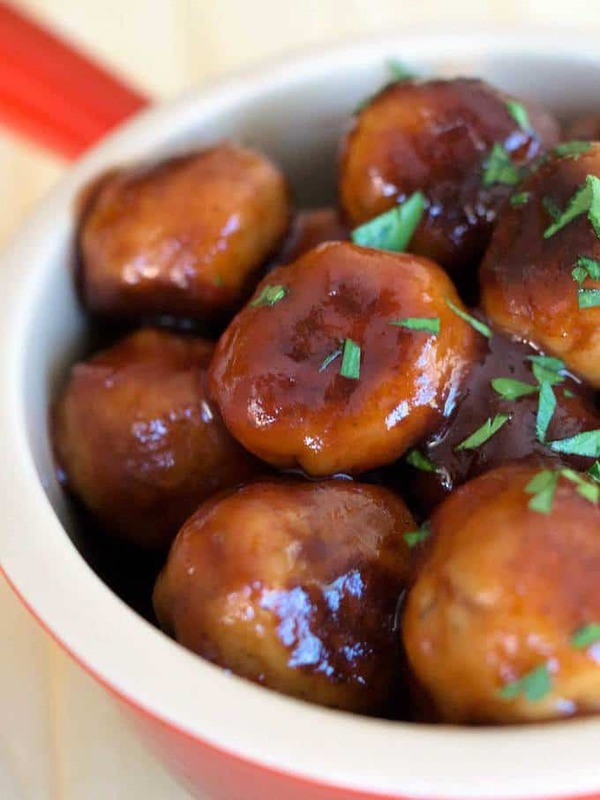 Savory Glazed Turkey Meatballs – These tender and flavorful turkey meatballs glazed with a sweet savory sauce will definitely score the winning points at your Super Bowl party! 6. 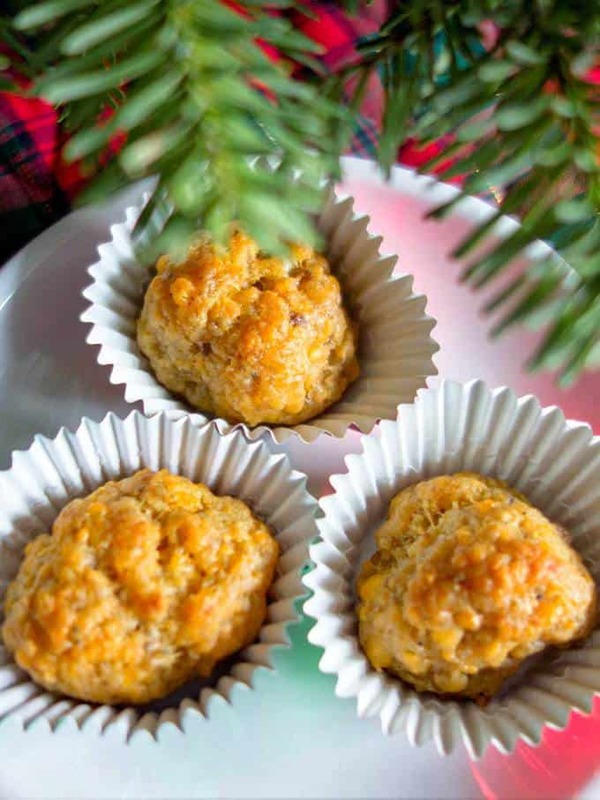 Easy Cheesy Sausage Balls – Easy Cheesy Sausage Balls are a perfect appetizer for your Super Bowl gathering. With only three ingredients, these little gems have it all. They’re super simple to make, taste incredible warm or at room temperature, freeze beautifully, and are just as good reheated. Who could ask for more? 7. 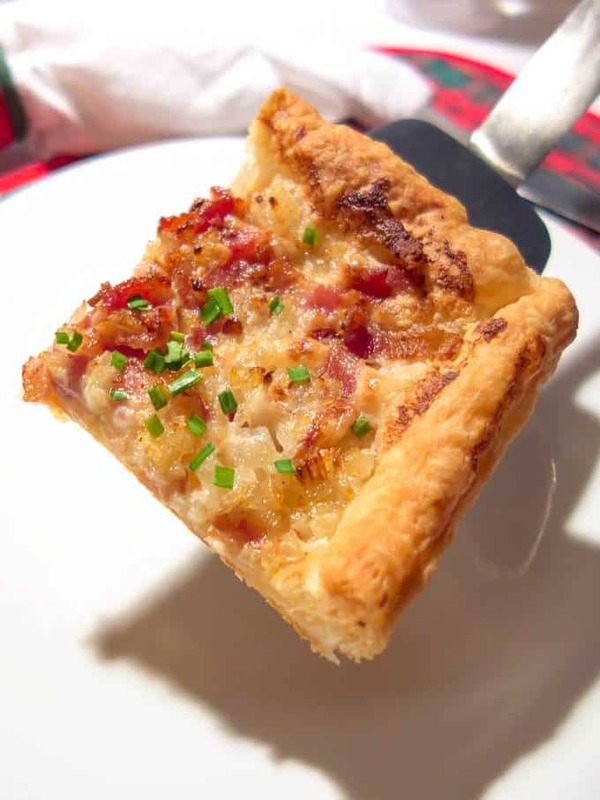 Tarte Flambée – Tarte Flambée is an Alsatian dish composed of a thin dough covered with fromage blanc or crème fraîche, thinly sliced onions, and bacon. It is to northern Alsace what pizza is to southern Italy. It is both easy to make, and absolutely delicious. Tarte Flambée is the perfect appetizer or light entrée. 8. 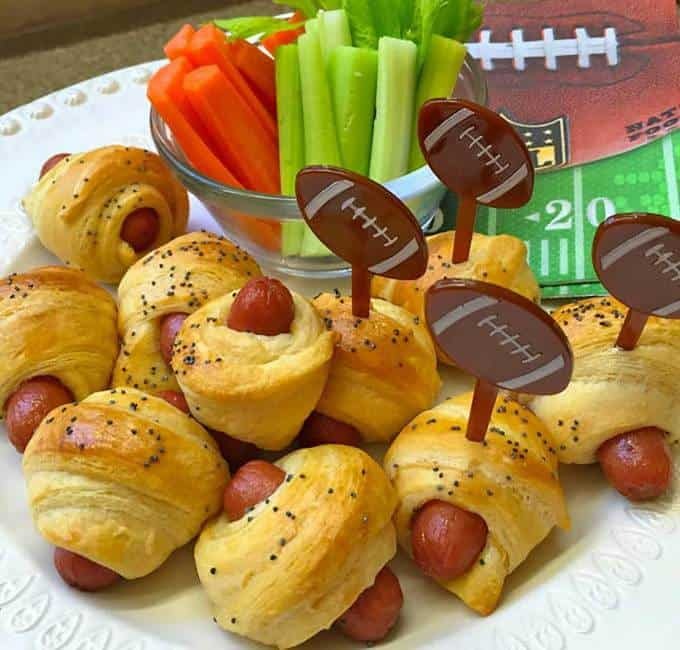 Easy Pigs in a Blanket – When the NFL’s top 2 teams face off on the field on Super Bowl Sunday, make sure you’re serving touchdown worthy appetizers and party fare. 9. 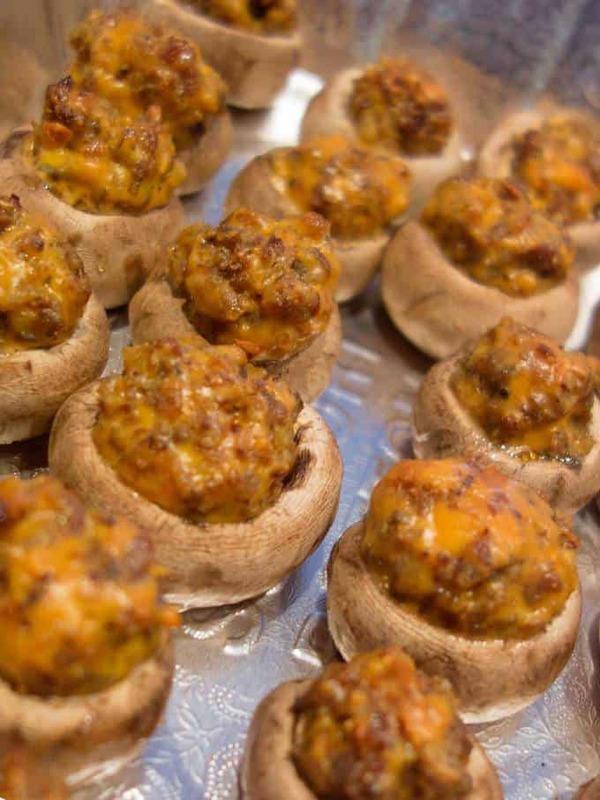 Sausage n’Cheese Stuffed Mushrooms – If you like sausage, cheese, and mushrooms, you will absolutely love these Sausage n’Cheese Stuffed Mushrooms. They can be made ahead of time and popped into the oven in time for your Super Bowl gathering. 10. 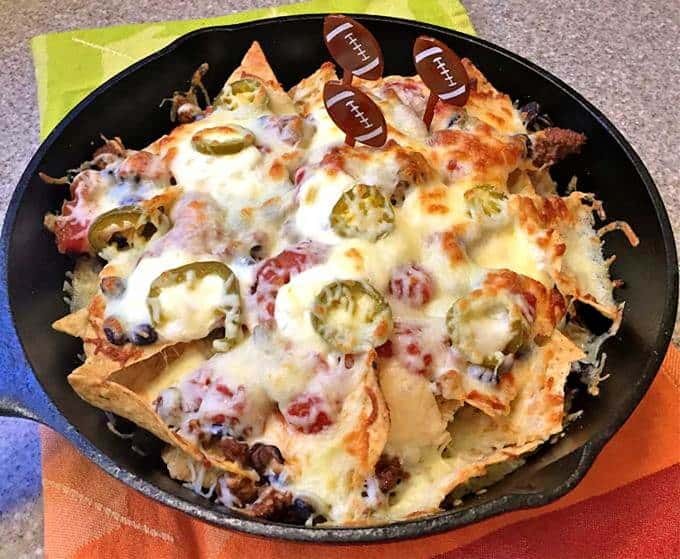 Skillet Macho Nachos – There are some folks who like to watch football and some that are just in it for the food. These, no silverware necessary, Skillet Macho Nachos are perfect for either. 11. 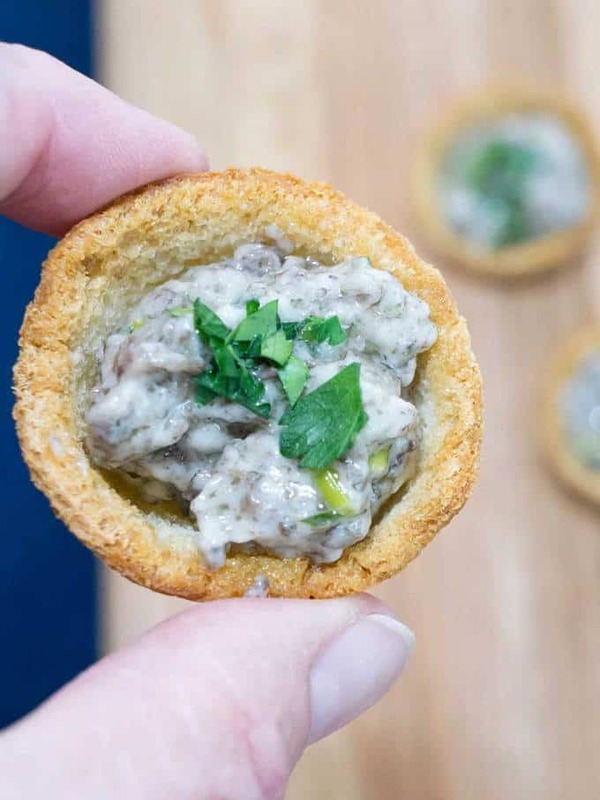 Elegant Make Ahead Mushroom Croustades – Make Ahead Mushroom Croustades are an elegant bite-sized holiday appetizer. With rich and creamy mushroom filling in a crispy toasted bread shell, they will WOW your most discerning guests. 12. 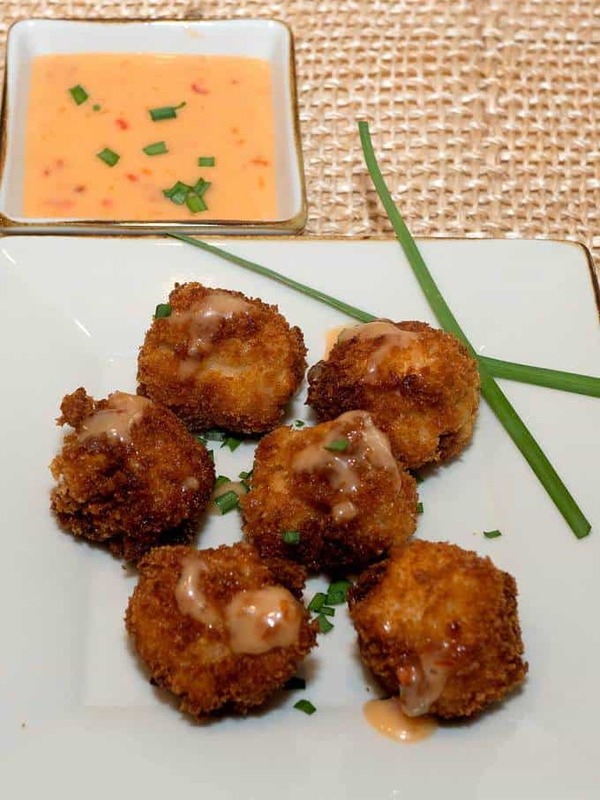 Bang Bang Chicken – Bang Bang Chicken is a perfect appetizer for any occasion. It features extra crispy chicken bites drizzled with an amazing creamy sweet chili sauce. On top of that, it’s quick and easy to prepare!